Mud Dabbers is a fully functioning studio and gallery in the mountains of Balsam, North Carolina, family owned and operated since 1988. Our potters work in open studio space, so you can often see potters at work when you visit. 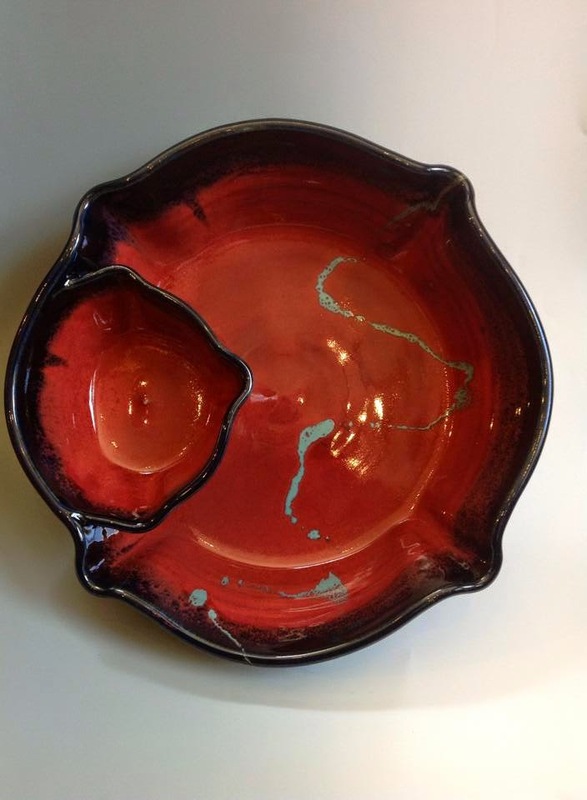 Our handmade stoneware pottery is elegant for display and durable for daily use. All functional pieces are safe for use in the oven, microwave, and dishwasher. We hope you'll take a moment to visit our Facebook page to see what's happening at the shop and learn a little more about us. Because we are constantly creating new pieces and are not able to maintain this website like we'd like, we have much more pottery available than what is included here. Please send us a message on Facebook or give us a call at (828) 456-1916 to find out what's new in the shop.